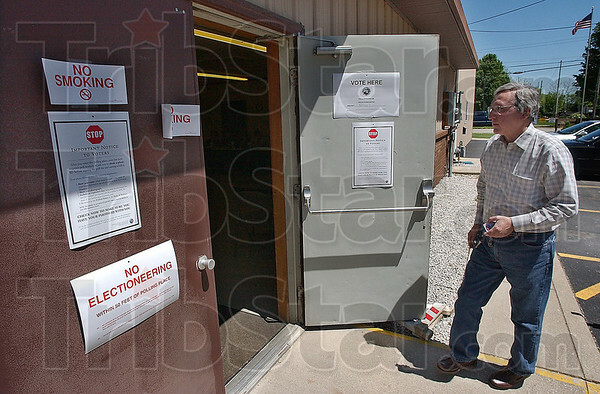 Free choice: Wayne Pruner walks in the Fairview 1 polling place mid-afternoon Tuesday. Around 2:30p.m. about 150 of the more than 1,000 registered voters had voted there.